Comco Ikarus has a long history in Europe dating to the early 1990s. 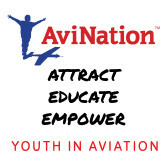 The company believes it is the largest supplier of flight school aircraft in Europe's largest economy, Germany. Their current development is a higher gross weight edition of the composite exterior C42. New U.S. representation could reignite sales of this sweet-flying, light-weight LSA. Comco Ikarus has a long history in Europe dating to the early 1990s. 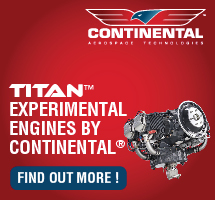 The company believes it is the largest supplier of flight school aircraft in Europe’s largest economy, Germany. Their current development is a higher gross weight edition of the composite exterior C42. New U.S. representation could reignite sales of this sweet-flying, light-weight LSA. 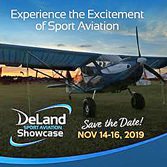 C42…An Ideal Light-Sport Aircraft Trainer? The C42 Ikarus has clean lines and a tapered wing with flaps. The fairings on the gear legs cover a heavy-duty suspension system. Rob Rollison, right, and Allistair Wilson. The C42's door open upward, making entry and exit easy. Gas struts hold the doors open. The aircraft can also be flown with the doors off. Inside, the aircraft features semi-bucket-style seats with a four-point shoulder harness. 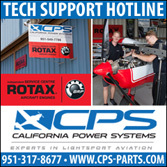 The C42 comes standard with the 80-hp Rotax 912 as its powerplant. The latest version of the aircraft added more cowling inlets to improve the flow of cooling air to the engine|a necessity in the warmer climates of the United States. 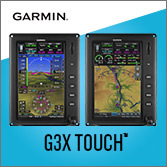 The C42 comes standard with a complete instrument package for VFR flight, including engine gauges, yet still allows room for a GPS unit and radios. In the center panel, the knurled knob is the choke, the lower left knob is cabin heat, and the lower right knob is carburetor heat. German attention to detail shows up in this telescoping pitot tube, which prevents the tube from being bent or broken while parked on the ground. Just don't forget to pull it to full extension before flight. A peek inside the aft fuselage storage area shows the main boom tube to the tail surfaces and standard dual fuel tanks of 13.2 gallons each. Baggage can be stowed in this area, but it must be secured to a bracing strut. 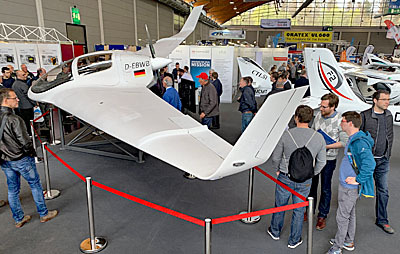 Germany's most popular microlight flies to America Some readers and enthusiasts are excited about the proposed sport pilot/light-sport aircraft rule, while others have taken a wait-and-see approach. Virtually all recreational pilots are full of anticipation and questions. In the meantime, aircraft developers are also preparing. 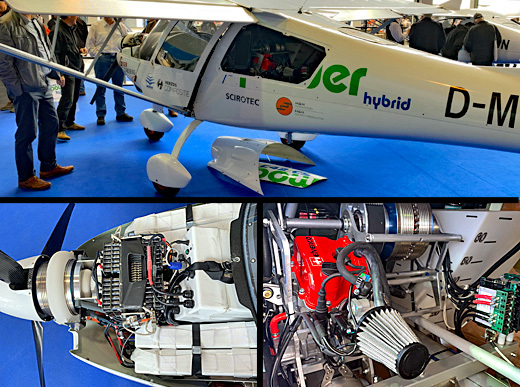 Of those aircraft likely to become new ready-to-fly light-sport aircraft (LSA), many hail from Europe because its microlight regulations are close to the expected definition of LSAs in the United States. Germany is home to many manufacturers that produce potential LSAs, including Comco Ikarus, makers of the C42 Ikarus. The company has produced more than 1,500 aircraft, of which more than 650 are the C42 model. It's an aircraft that both general aviation and microlight pilots appreciate, noted by the fact that it is Germany's best-selling microlight. Every year, the factory cranks out another 80 C42s. The design was first produced in 1996. Rather than follow the design of the company's older C22, which looks like a Flightstar II SL in its Fastback version, the C42 started fresh. A tractor engine is the most significant and obvious change. Other changes include a lengthened cowl to improve engine cooling. Unlike other European designs such as the CT2K or Sportstar, which start life in Eastern European countries, the C42 is built entirely in Germany. While those other aircraft may have equipment added in Germany, France, or the United States, they are not completely built under western supervision. Some buyers happily accept the design expertise of the Eastern European countries, while others prefer western-made products. Rollison Light Sport Aircraft is bringing the C42 to the United States. 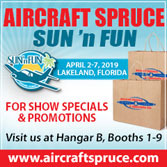 Owner Rob Rollison has been importing aircraft for several years, which has given him considerable experience about which companies offer the best products and service. 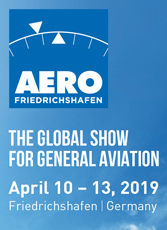 The company also sells the Remos G-3 Mirage and the Aeropro EuroFox. Sophisticated Cabin The fully built C42 comes wellequipped for its price. The modernlooking cabin offers many of the features expected by general aviation pilots, and it is nicely finished with a durable composite interior. Getting into the aircraft is convenient. Gas-assisted struts on the doors make entry easy. You merely turn around, sit down, draw your legs inside, and attach the standard fourpoint seat belts. The C42's thinly cushioned seats were surprisingly comfortable and can handle a bigger body with relative ease. The seat shape holds occupants in place securely-with seat belts fastened, of course-yet offers the body good support. I flew with Allistair Wilson, Rob's associate. He's a bigger fellow and I'm a bit larger than FAA's standard 170pound pilot, so we gave the cabin's width a good evaluation. The C42 was comfortable, though somewhat less spacious than the CT2K, for example. At its widest, the C42 cockpit measures 48 inches across. Allistair and I were just barely touching one another. By contrast, at 35 inches across, the Cessna 150 is much tighter. The C42 is also well instrumented in its base configuration with the following: airspeed indicator, precision altimeter, vertical speed indicator, Silva compass, slip indicator, electric fuel gauge, oil temperature gauge, oil pressure gauge, water temperature gauge, dual-EGT gauges, and an hour meter. A baggage area in the aft fuselage can hold up to 25 pounds of luggage, but it must be secured to a strut that runs from the landing gear to the main boom. You can access this space through a door on the side of the fuselage that measures approximately 18 inches wide by 15 inches tall. This door attaches at all four corners with snap fasteners. A hinged door would be quicker and more secure, but at a small weight increase. The C42 can be flown with the doors off, which will appeal to many sport pilots. Summertime flying with the breeze coursing through the cockpit is enjoyable to many. Lighweight Airframe While in Europe in the spring of 2003, I visited Comco's plant in Hohentengen, Germany, and discovered the company directors had a hang gliding background. They still guide airplane manufacturing with an eye to keeping the airplane as light as possible, and lighter aircraft will usually exhibit better handling. The C42's empty weight is listed at 572 pounds. Rollison LSA will sell the plane with a 1,144-pound gross weight under LSA regulations, offering a 572pound useful load. In other words, the C42 can lift twice its empty weight. With 26.4 gallons of fuel on board, you still have a 414-pound payload for occupants and baggage. That's a good example of an airplane that will not use the entire maximum takeoff weight expected under the new rule. Not all LSAs need to push that upper weight limit. While the C42's wings aren't the quick-fold type, two practiced persons can arrange the C42 for trailer transport in 30-40 minutes. However, given that buyers will receive a fully built aircraft and have a speedy 100-mph cruise, I suspect the C42 will most often be flown to its destination. But, the removable wings might be helpful in reducing hangar costs. The hang gliding background of the company owners also influenced Comco Ikarus to use sewn Dacron wing and tail coverings with slick mylar-coated fabrics. 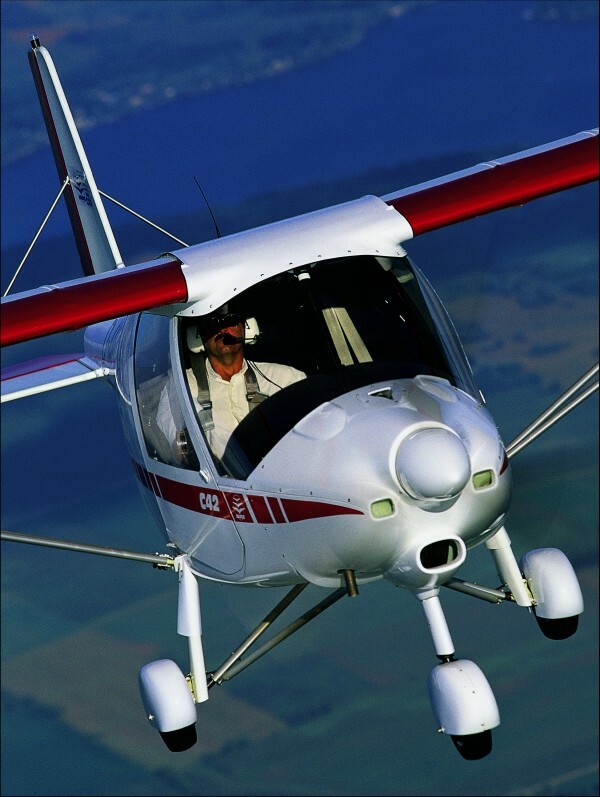 The combination of a smooth fiberglass cowl, faired gear, slippery wing surfaces, and the airplane's light weight helps the C42 reach an 11 to 1 glide ratio, according to company brochures. C42s delivered in the United States will have a "tropicalized" cowling, as Allistair described it. A second inlet has been added to provide more outside air flow to the powerplant to cool both the water and oil cooler. In the standard C42 cowling, a clever arrangement cools both with a single inlet. That works in Germany, which has a cooler climate, but in warm climates like Florida, overheating resulted, thus the change was necessitated. Now the system is so efficient that sometimes the openings have to be partially closed off or it gets too cool, Allistair reports Overall the German company gets the details right in many ways. For example, a telescoping pitot tube is attached to the wing's leading edge where the left strut meets the wing. This allows the owner to push the tube back inside a housing to prevent it from being bumped or broken when the aircraft's parked. Flight Controls As you enter the cockpit, you'll find something different but functional; the C42 has a throttle at the front edge of both seats. These throttles can fold down and to the side to get them out of your way. After entry, you'll want to fold them back up and move them forward and aft to the stops to assure freedom of movement. Trim is on the left square support tube where it can be easily reached. A twoposition flap lever is in the center of the cockpit just aft of the main forward support tube. Two notches provide about 15 and 30 degrees of deflection. The lever uses a bicycle-brake-type detent release. Single-action hydraulic brakes are standard and the activating lever is mounted to the front side of the joystick. The C42 also comes with a parking brake feature. In the center T-panel, above the radio installation, are three knobs. The top one, with the knurled surface, is the choke. Below it to the left is the cabin heat and to its right is the carburetor heat. Those operating in colder climates will appreciate the Germans' attention to heating systems. A handle for the optional ballistic parachute is mounted on the right side, a few inches in front of the passenger's head. Except for having to raise your hand (which can be hard to do in some high-G situations), this is a good location for such a handle. Let's Go Flying! The starting procedure begins with hitting dual magneto switches. Allistair recommends an auxiliary fuel pump that he leaves on during the start sequence. On our first takeoff, we set trim at full aft and applied power. With neither of us touching our joystick, the C42 launched perfectly and started a normal climb-out even in a slight crosswind. The takeoff run was definitely a bit longer than a managed one, but Allistair used this method to illustrate the ease of operation of the aircraft. After several takeoff and landings, I observed that the C42 nicely slows its sink rate with the flaps deployed, optimally at a one-notch setting. Two notches of flaps further steepen the approach, as you'd expect. Slips were quite effective in the C42 and could be done with full deflection of the rudder. Allistair estimates that full slips add about 400 fpm of descent rate to the average idle-thrust descent rate pushing up sink to over 1,000 fpm. Many pilots find a high rate of descent useful for short field landings. Cruising at a power setting of 4200 rpm, we removed our headsets to find a reasonably quiet cockpit. Allistair and I were able to converse easily without shouting; however, headsets or helmets are still worthwhile to protect hearing. When it flies overhead, the C42, like most European airplanes, produces only 55 dB of sound. By German law, the plane must generate less noise than ordinary conversation at 60-65 dB. Airport neighbors won't complain about C42 flights. Our test C42 had a handy bug marker on the ASI that was set at 60 mph. This is a good approach speed in the aircraft, although you can slow to 50 mph once you are comfortable with the handling and flight characteristics. The C42's main gear is not very widely spaced laterally, yet it seemed to offer good stability even on a bumpy turf surface. The gear is well braced with struts, no doubt one reason why flight schools across Germany and Europe have embraced the C42. Both gear legs have suspension that contributes to the plane's capability to handle substantial landing forces. The main support axle tube is faired, though the forward-sweeping, anti-drag strut is not. Allistair assured me that even "a really bad landing will not overstress the gear system," which speaks loudly about the plane's potential as a trainer. As long as you hit on the mains and don't wheelbarrow onto the nose wheel, he feels it would be difficult to damage parts. 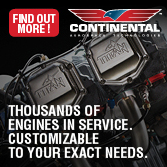 Power and Performance The 80-hp Rotax 912 engine is the standard powerplant for the C42. 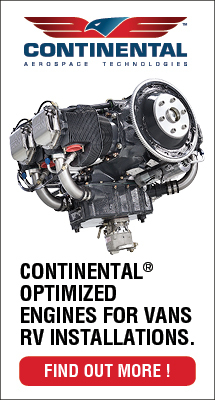 While the 100-hp 912S is available on C42s sold in Europe, Rob is not offering that option in the United States, having confidence that the R-912 is the best engine for this airframe. Allistair flew the C42 to Florida for Rollison LSA last spring. He burned 25 gallons of fuel in seven and a half hours of flying. He flew half the flight at 7,500 feet or higher with the R-912 set at 4,900-5,000 rpm. At an average 7,500 feet MSL, 75-percent power yielded 60 horsepower. His calculated average fuel burn was 3.33 gallons per hour. True airspeed was 95 mph, although a nice tailwind allowed him to see as much as a 143 mph ground speed. Typical cruise at lower altitudes is also 95 mph, although flights at those lower altitudes will probably result in a slightly higher fuel burn. On cooler days, you can run 100 mph, and Allistair indicates these are solid figures buyers can expect to see. In accordance with the proposed LSA requirements, the C42 will come equipped with a three-blade Warp Drive fixed-pitch prop. Get in Line American buyers will need to learn a new fact of imported aircraft-exchange rate fluctuation. Rollison LSA buys the aircraft from Germany and pays for it in euros, the new currency of the European Union. As with all national currencies, the euro moves differently than the dollar. For the past two years, the euro has been climbing steadily against the dollar, rising as high as 25 percent from onetime parity. The asking price for the C42 is $44,950 (Euro), equipped as seen in the accompanying photos, except for the optional ballistic parachute system. The basic instrumentation outlined above is part of the price. By quoting the price in euros, Rollison avoids having to constantly change prices or state "Call for price," a tactic that annoys many who first examine the product in catalogs or over the Internet. At the time this article went to press in mid-March, 44,950 euros equated to about $55,000. Three years ago 44,950 euros equated to less than $40,000. Check your newspaper or the web for the latest currency rates. Whatever you find, though, you'll want to call Rollison for the latest update. The strong landing gear, the easy controls, good visibility, and the room inside the cabin all contribute to the C42 being an ideal training aircraft. If the American instructional community gets experience with the C42, and given its reasonable price tag, this may become as popular a trainer in the United States as it is in Germany. Further proof of the C42's overall performance can be noted in the design's winning ways. The model was the 1996, 1999, 2000, and 2001 German champion and the 1997 World Champion. For those not intending to train, the C42 represents a fully built and highly proven plane that will be a comfortable cruiser. No deliveries will be made in the United States until the SP/LSA rule is final and Rollison LSA can show compliance with the required consensus standards. But, as soon as FAA's new rule erupts on the scene, I suspect Rollison will be busy importing a number of C42s. You may want to get in line before the rush. Notes: 1 Weight indicated by distributor after SP/LSA becomes final. 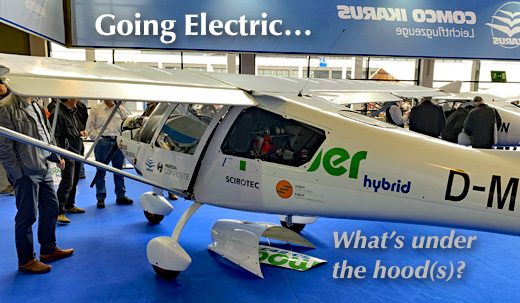 Germany’s most popular microlight flies to America Some readers and enthusiasts are excited about the proposed sport pilot/light-sport aircraft rule, while others have taken a wait-and-see approach. 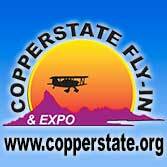 Virtually all recreational pilots are full of anticipation and questions. In the meantime, aircraft developers are also preparing. 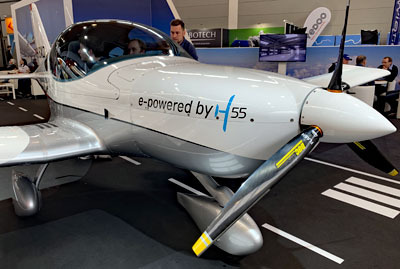 Of those aircraft likely to become new ready-to-fly light-sport aircraft (LSA), many hail from Europe because its microlight regulations are close to the expected definition of LSAs in the United States. Germany is home to many manufacturers that produce potential LSAs, including Comco Ikarus, makers of the C42 Ikarus. The company has produced more than 1,500 aircraft, of which more than 650 are the C42 model. It’s an aircraft that both general aviation and microlight pilots appreciate, noted by the fact that it is Germany’s best-selling microlight. Every year, the factory cranks out another 80 C42s. The design was first produced in 1996. Rather than follow the design of the company’s older C22, which looks like a Flightstar II SL in its Fastback version, the C42 started fresh.